Point 2 Life is for young people of Secondary school age, including those who may not be attached to any church. The meetings are held on Sunday evenings at 8.30pm, usually in the Garrabost Manse, usually every two weeks. 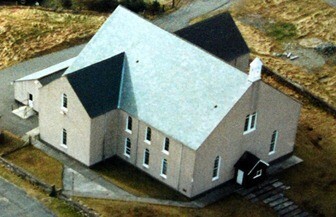 Meetings are also held jointly at Stornoway Free Church hall with other young people's fellowships from across the island. Weekends away are also arranged at least annually where a range of activities and Bible studies are included. The Point 2 Life meetings involve leaders and young people from other congregations in Point.